Rising temperatures caused by climate change could see mosquitoes carrying diseases like malaria and dengue fever arrive in Britain within the next few decades, according to a report by Public Health England. The claims, which were published in the Lancet Infectious Diseases journal, reflect a recent increase in deadly insect-borne afflictions finding their way into Europe. Malaria has begun to re-establish itself in Greece in recent years, while Dengue fever has been found in Croatia and France. More than 700 cases of West Nile Virus have been registered in Europe as well as 200 cases of the Chikungunya virus being recorded in Italy. They stressed that climate change is only part of the story, arguing that if the worst happened it would be as a result of a perfect storm of global issues. The report identified one route for mosquitoes to arrive is through the importation of used tires, upon which certain species lay their eggs. It also suggests that alongside higher temperatures, increased rainfall could create better breeding conditions for mosquitoes than had previously existed in Britain. 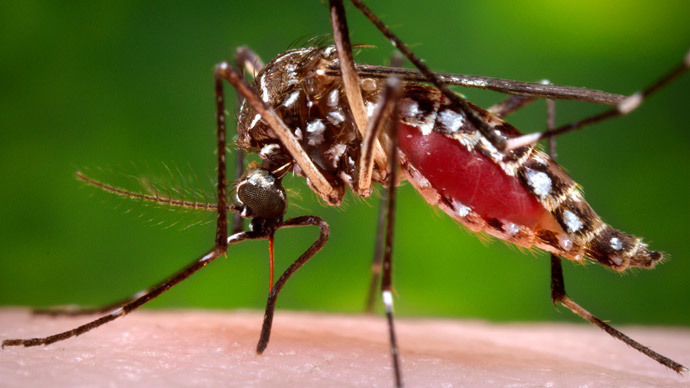 Of the UK's 34 species of mosquito, only a few carry and deliver diseases harmful to humans. Climate modeling, however, suggests by 2030 there could be a window of four months a year when conditions are appropriate for infections to occur. The British military is involved in ongoing operations to counter the Ebola epidemic in West Africa, leading to concerns that migration and the movement of medical personnel could bring the dangerous virus home. Those fears were compounded in mid-March, when a British military health worker became the third foreign medic to be infected in Sierra Leone. The individual was subsequently flown back to the UK. Since the beginning of the outbreak last year, more than 600 health workers have become infected in the region. Some 300 have died, with the majority being African.